A pretty, attractive Cheval Blanc, the 1995 contains a higher percentage of Merlot in the final blend than usual (50% Merlot/50% Cabernet Franc). 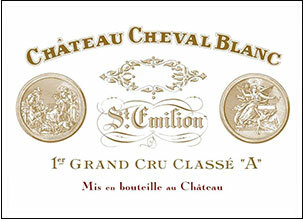 This wine has not developed as much fat or weight as its younger sibling, the 1996, but it appears to be an outstanding Cheval Blanc with an enthralling smoky, black currant, coffee, and exotic bouquet. Complex, rich, medium to full-bodied flavors are well-endowed and pure, with surprisingly firm tannin in the finish. Unlike the sweeter, riper 1996, the 1995 may be more structured and potentially longer-lived. Anticipated maturity: 2002-2020.